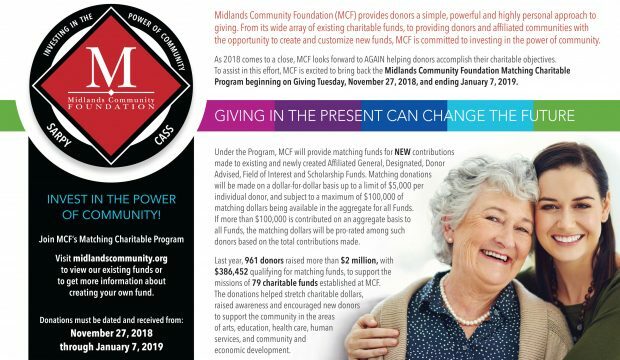 MCF's 6th Matching Charitable Program that ran from Giving Tuesday, November 27, 2018, through January 7, 2019, raised nearly $740,000, with $429,000 qualifying for matching funds. Thank you for "Investing in the Power of Community". 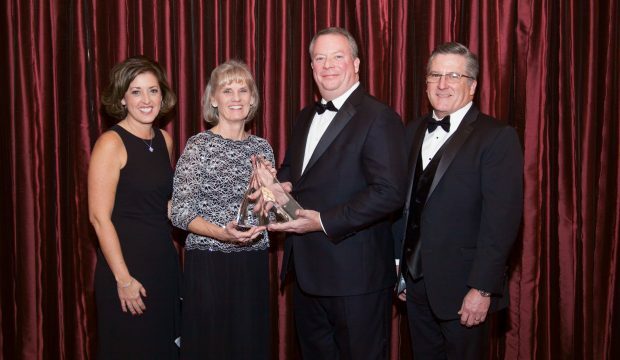 MCF’s 2019 Reflection Ball raised more than $140,000. Net proceeds will support the needs of non-profit organizations that provide programs and services in Sarpy and Cass counties in the areas of art, community, economic development, education, health and human services. Thank you to all who supported this annual event. 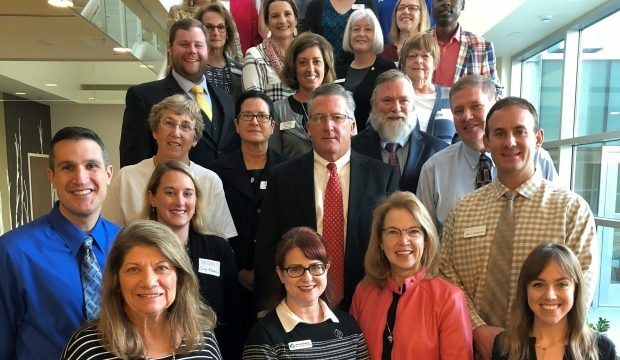 Midlands Community Foundation recently awarded grants totaling $89,175 to 24 non-profit organizations serving Sarpy and Cass counties. 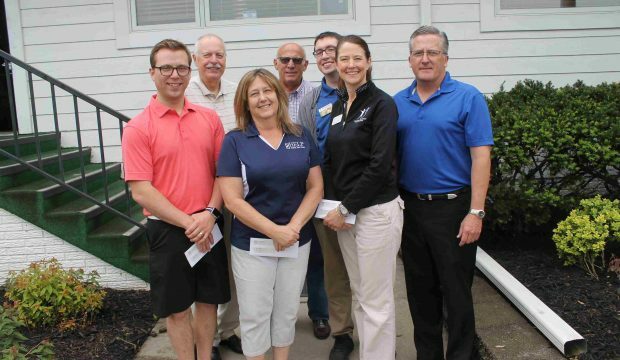 Midlands Community Foundation raised more than $42,000 at its 2018 golf tournament. 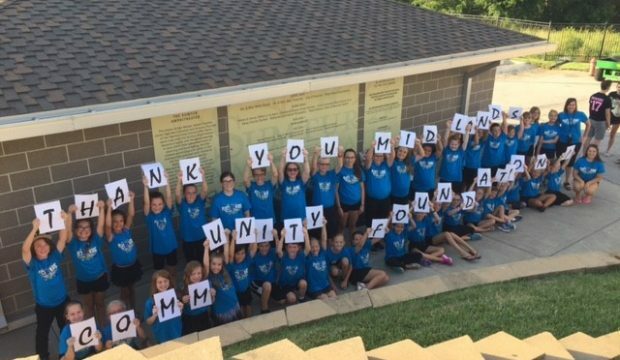 At this year’s tournament, donations were awarded to Big Brothers Big Sisters of the Midlands, Fontenelle Forest, HELP Adult Services, Papillion Volunteer Fire Department, Project Harmony and Share A Fare, Inc.
A big thank you from participants of the Papillion-LaViata Community Theatre Kids Music Clinic. Through its grants program, Midlands Community Foundation donated funds to PLCT for the clinic. MCF is accepting grant applications from non-profit organizations that provide services in Sarpy and/or Cass counties. PLEASE REVIEW THE GRANT BROCHURE PRIOR TO COMPLETING YOUR APPLICATION. Applications are due by 5 p.m. on August 1, 2019.